A Franco-Lebanese businessman has said he handed over three suitcases filled with cash from late Libyan leader Muammar Gaddafi to Nicolas Sarkozy and a senior aide to help finance his successful 2007 presidential campaign. In a filmed statement released on Tuesday by news website Mediapart, Ziad Takieddine said he had transferred about 5 million euros of illicit funding from Gaddafi’s former intelligence chief Abdullah Senussi to Sarkozy and campaign director Claude Gueant. 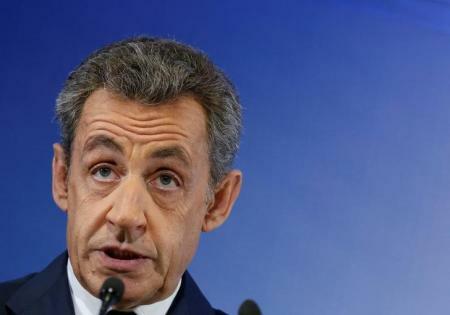 Sarkozy, who was president from 2007 to 2012 and is seeking nomination as the conservative candidate in next year’s presidential poll, has always denied allegations that he took covert funding from Libya. Sarkozy’s entourage did not immediately respond to calls for comment. Takieddine’s statement came just days before the first round of a primary election to pick the centre-right’s candidate and risked overshadowing the last days of Sarkozy’s campaign. “Why and how can a guy like this stand for presidency of the Republic? The French people must react. It will explode,” Takieddine said. Gueant’s lawyer Philippe Bouchez El Ghozi denied the claims. “Claude Gueant has always been very clear. He never received from near or far or heard about a centime of money from Libya to support Nicolas Sarkozy’s campaign. He has repeated this multiple times to the judicial authorities,” he told Reuters. France’s public prosecutor opened a judicial investigation into earlier allegations by Takieddine in 2013, but until now, he had never described how the money was transferred or directly pinpointed Sarkozy. Takieddine said he had given a written deposition to judges on Nov. 12 detailing three cash transfers between 2006-2007 and his meetings with Gueant and Sarkozy. At no point, he says, did he see the two men ever look inside the cases after he dropped them off at the Interior Ministry, where Sarkozy was minister at the time. Libyan officials from the Gaddafi era have previously claimed they helped finance Sarkozy’s election campaign. Sarkozy also has other legal headaches. In September, France’s state prosecutor said he should stand trial over funding irregularities linked to his failed 2012 re-election bid. A magistrate is due to rule whether he does or not later this month.